This new Android Wear smartwatch with interchangeable bands, as well as IP86-rated protection from water and dust hits Korea next to the Blue Coral version of the Galaxy S7 Edge flagship. As it usually happens with Samsung products, the Samsung Gear S3 hits South Korea on its way to the US. Today, the company's new smartwatch launches in its home market. Next week, the US is scheduled to receive it, next to Australia, Singapore, Dubai, France, Germany, and the UK. South Korea also gets the Gear S3 in two variants, namely Classic and Frontier. 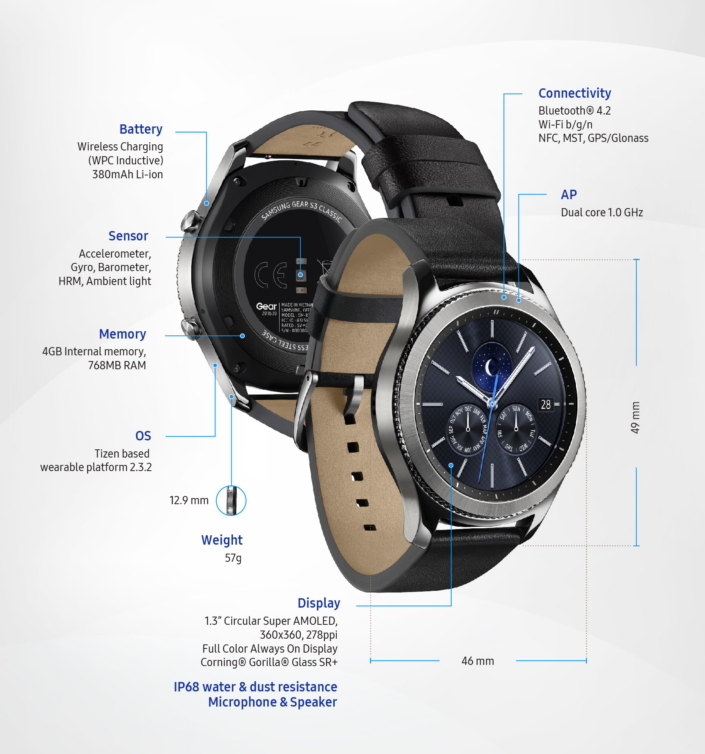 Their specs are similar, only that the Gear S3 Frontier comes with a rugged design and support for 4G LTE connectivity. In addition to the mobile payment capabilities offered by the previous generation (via NFC), the new Gear smartwatches come with support for MST payments. At last, the swappable bands and IP68 rating should be mentioned as well, next to the battery that can provide up to four days of autonomy. The US launch of the Samsung Gear S3 is scheduled for November 18. Today, the South Korean market also got the Blue Coral Galaxy S7 Edge flagship.